On display at the Chelsea Art Museum in New York City are works by the winners of the first annual Terna Prize for Contemporary art. The exhibit “Transmitting Energy: A Contemporary Metaphor – Winners of the Terna Prize for Contemporary Art” was open to the public until July 12. i-Italy was present at the opening and met with a few of the participating artists. The exhibit features sixteen artists whose work varies widely and who arrived from Italy to take part and exhibit their work in Chelsea. 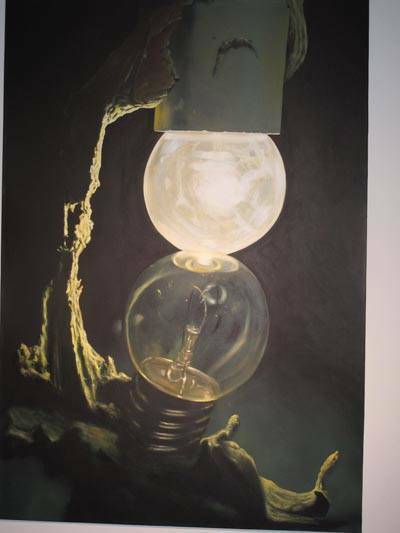 The group exhibition at the Chelsea Art Museum in New York City was organized around the theme of connectivity and sponsored by Terna, the Italian company that operates the nation’s electricity transmission grid. Bold but necessary choices that are both transparent and far-sighted have allowed Terna to become the new standard for a national firm. Its innovative practices include a comprehensive management system for energy transmission, the creation of the National Control Center, strategic investments over the next four years, respect for the environment, and a concrete interest in sustainability. Aside from its business practices, the company has also been involved with current trends in contemporary art. 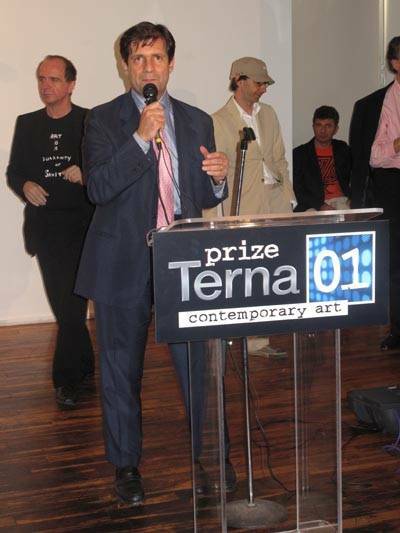 Manhattan played host to the winners of the first annual Terna Prize 01. Over three thousand visitors filled the impressive museum located in Chelsea, the Manhattan neighborhood which has held events like this for decades. The area is in fact known as the gallery district because some of the most prestigious art galleries and exhibit spaces are located here. Among the curious and devoted art lovers, there were also several famous people in attendance: Maurizio Cattelan and Nicola Verlato, Jeffrey Wright who played the lead role in Basquiat, and Sabrina Ferilli, noted actress and long-time partner of Flavio Cattaneo, CEO of Terna. One of the main objectives of the event was to underscore the international role that Italy plays in contemporary art. During the Terna Prize, in fact, the results of a survey were shared which studied the perception that the American arts community has of Italian contemporary art. It was a useful tool aimed at enhancing the mutual relationship and understanding between the two communities and creating a meeting point from which to embark on a path of growth and exchange. The Terna Award Jury was comprised of the Presidential Committee, the Curatorial Committee, and a number of distinguished representatives of art and culture. The general public was also invited to participate by voting online for the People’s Choice Award. Laura Cantrarella, Rocco Dubbini, Raffaela Mariniello, Antonio Riello, and winner of the online-voted People’s Choice Award Hôtel de la Lune. The contest competition also seeks to highlight the cultural and artistic goals of Progetto Terna. Each year it will choose a world capital of art and in so doing artists will gain international visibility and will no longer be limited by the confines of their own studios, workshops, and galleries. 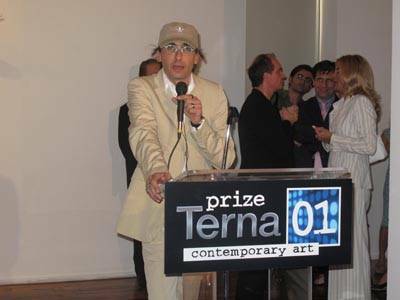 In establishing the Prize, Terna worked closely with independent curator and contemporary art critic Gianluca Marziani Marziani. Marziani commented on plans to improve the competition in the future: “Next year’s contest will have a more international character. The jury will be comprised of leading figures in the art world such as Matthew Higgs, Director of White Columns  in New York and Vicente Todolì, Director of Tate Modern Gallery  in London. 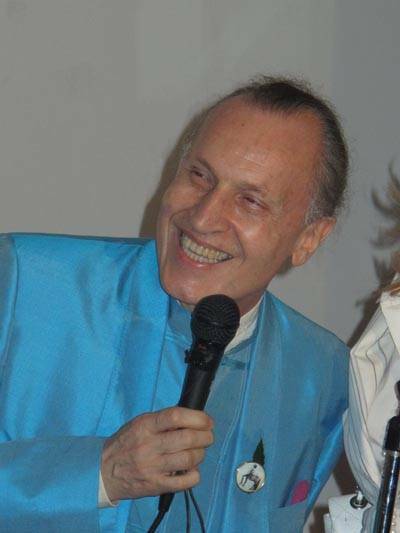 For the occasion, the publisher Guido Talarico launched the new magazine Inside Art International. Luigi Ontani’s Electricthrone graces the front cover, and inside there are insightful and reflective articles about the Italian “state of art” in New York for the American public to read.